All-natural formula is designed to gently and effectively lighten dark pigmented areas areas of the body by blending them with your own natural skin tone providing you with a fresher, more youthful look. The product for sensitive areas can be used to lighten underarms, elbows, knees, bikini line. Our unique natural ingredients work to reduce the activity of Tyrosinase (the enzyme responsible for darkening) in the skin. Gentle soothing agents moisturize to protect. As new skin comes to the surface, you see a brighter, more youthful skin tone that blends with your natural skin tone. 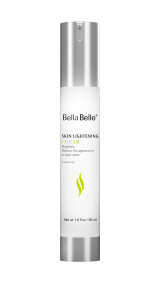 · Effectively lightens discolored areas in as little as 3-4 weeks. · Absorbs quickly without an oily or sticky residue. · Safe for use on intimate areas. For best results, use twice a day (morning and evening). Wash as normal. Allow skin to dry. Apply a small amount directly to the desired area by gently rubbing in a circular motion until completely absorbed into the skin. Continued use maintains the look as desired. External use only.